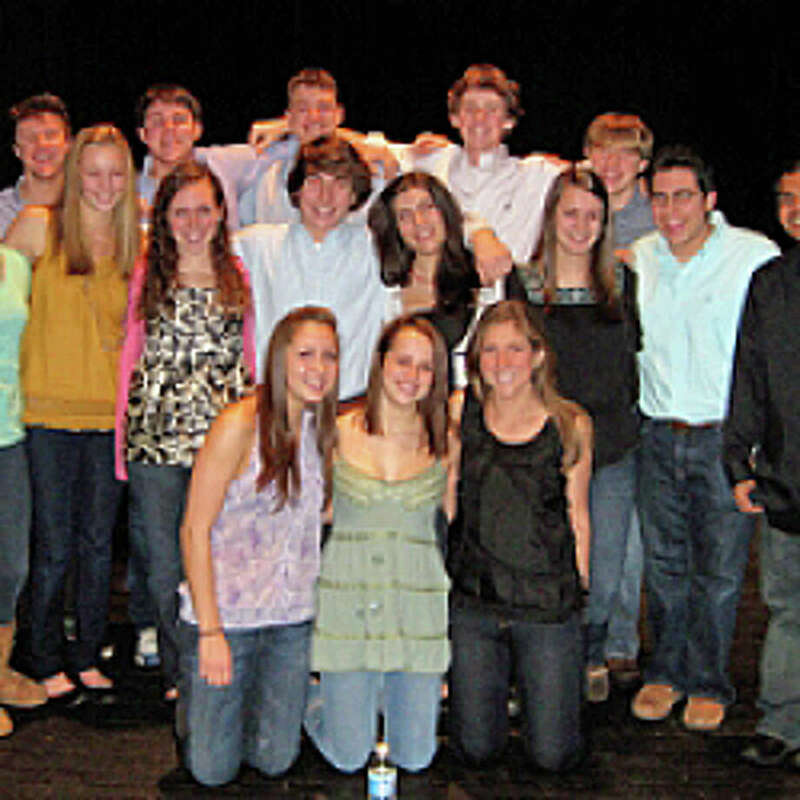 A cappella Too, a group from Fairfield Ludlowe High School, will be among those performing this weekend at Tomlison Middle School. Friday night stop by Tomlinson Middle School on Unquowa Road and listen to performances by local and out-of-state choirs at the 7th annual A Cappella Night. The event starts at 7 p.m. and features a cappella groups from Fairfield's middle and high schools and colleges like the University of Delaware. The cost is $5 per person or $10 per family. For more information, e-mail shoefer@fairfield.k12.ct.us. Breakfast is for the birds at 10:30 a.m. Saturday at the Bird Cafe at the Connecticut Audubon Society, 2325 Burr St., where you can learn all about the birds at your birdfeeder, what they like to eat and how to attract them. Admission is $3 for members and $6 for non-members. For more information, call 203-259-6305, ext. 109, or e-mail lscerbo@ctaudubon.org. It will be "Movie Madness" at 10 a.m. Saturday when the Fairfield Community Theatre hosts the Fairfield Ludlowe High School Make-A-Wish Club's annual fundraiser. The feature presentation will be the PG-rated, "Shrek." The movie is free but all donations will be accepted. For more information, e-mail ewulf@fairfield.k12.ct.us. If your interest is piqued by the paranormal, head over to the Fairfield Woods Branch Library, 1147 Fairfield Woods Road, at 1 p.m. Saturday when paranormal researchers Joseph Franke and Orlando Ferrante share stories and evidence from their ghost hunting adventures. Registration is required for this free event. Call 203-255-7308 or visit www.fairfieldpubliclibrary.org. Searching for a crystal ball? Head over to the Psychic Fair Sunday from 11 a.m. to 6 p.m. at the Fairfield Inn, 417 Post Road. There will be mediums, clairvoyants and card readers and a paranormal lecture, "Truth about 2012," at 1 and 4 p.m. Admission is free. Visit www.ctpsychics.com or call 203-470-1806 for more information.